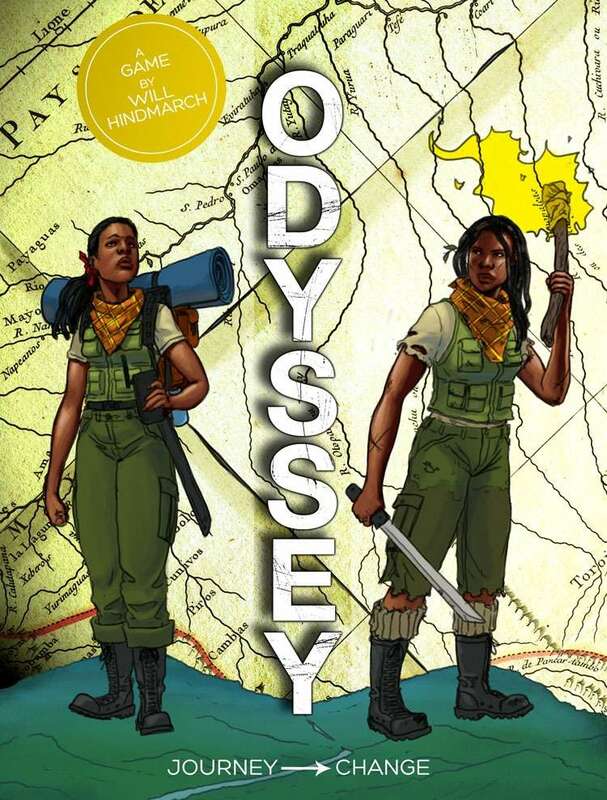 Odyssey helps you to tell tales of ever-changing characters on remarkable journeys. This narrative-focused game from Will Hindmarch (Damnation City, Always/Never/Now) comes ready to play in numerous game worlds and ready to hack for any journey across space or through time that you can imagine. A collection of optional mechanisms helps new or experienced players cultivate the game experience they want. This is a GM-ful game where every player gets an opportunity to pose challenges to other players, whether the odyssey is about rollicking adventures, gritty space operatics, or a personal saga of real-world friendship. Get 4 or more six-sided dice, gather your friends and their imaginations, and set forth on an incredible journey! Updated and expanded in September of 2014, this revised edition of the game streamlines play, renovates each playset, and incorporates feedback from readers and players over the game's life to date. Now's the time to embark on a journey of your own! Note: The previews of the game, above, each preview different portions of the text now. Odyssey plays best with 3–6 players.